Why Do Abusers Keep Using Homophobia As Shield? It’s not about sexuality, it’s about power. Here’s the thing. The Atlantic’s story did not happen because of Singer’s sexual orientation. Though Singer made clear in his statement that he would love the public’s attention to stay on Bohemian Rhapsody and its stampede through awards season, his cry of “homophobia!” glosses over the real reasons good reporting narrows the chasm between the public and the truth. We are still in the #MeToo movement’s early days. It was only 15 months ago that the New York Times published its exposé on Harvey Weinstein, who toyed with women’s careers because he had the power and the access to evade culpability. Since that story, many journalists have worked to route out notorious alleged abusers in several communities. Lifetime’s docuseries Surviving R. Kelly elevated the voices of Black women, who long have been sounding the alarm on the singer. Rigorous reporting dethroned Kevin Spacey, who allegedly abused actor Anthony Rapp when he was only 14 and who now faces a sexual assault charge for groping an 18-year-old waiter. Singer, Kelly, Weinstein, and Spacey have a few things in common, among them wealth and status. For those who have them, wealth and status open doors and shut down opposition. Each of these men were long the subjects of rumor before a story materialized, because social status also disenfranchises accusers and pressures them into silence. 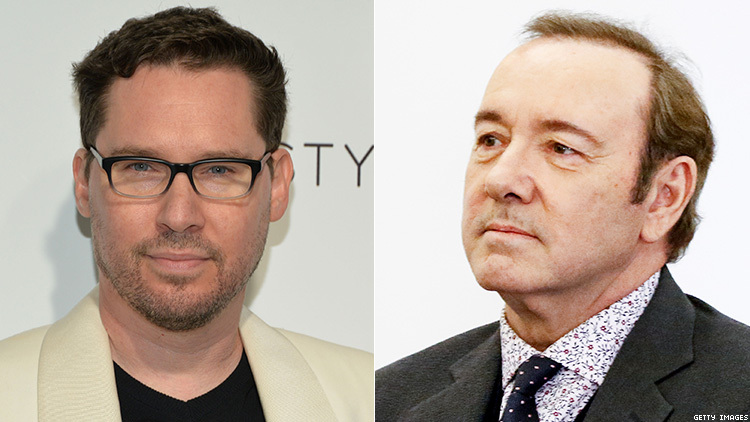 Both Singer and Spacey have used their status as a sword to fight and to debunk allegations and subsequently used their queerness as a shield against their accusers. As BuzzFeed wrote, Spacey tried to “weaponize the closet” to deter allegations. Talking about his allegations would amount to outing him, a big queer no-no, thus tying the hands of many accusers. Similarly, Singer’s framing the Atlantic’s reporting as a “homophobic smear campaign” paints the journalists as bad journalists; they are transgressors who are punching down, as if Singer were the one being subjugated. But queerness does not exist in a vacuum, something both Spacey and Singer are attempting to argue. Looking at these cases intersectionally, Spacey and Singer are not just queer: they are queer, monied, and elite. They hope their queerness can distract you from their wealth and status, which is the very thing that further facilitated their abuse. If they tout their queerness, they aren’t victimizers, but victims. Yet, a basic understanding of power dynamics assures us that they are anything but. Just as with the straight community, the LGBTQ+ community has an issue with sexual assault that needs dogged, rigorous reporting —and a criminal justice system that takes them seriously— if it’s to be eradicated. It’s why the work of people like Jasmyne Cannick, who has worked hard to make sure the victims of Los Angeles-based Democratic donor Ed Buck, is so important. So far, two Black gay men have been found dead in Buck’s apartment. Is the reporting on Buck, a gay white man, homophobic? Of course not. When Spacey and Singer label accusations against them as homophobic, they’re hoping that people see the accusers as invoking the harmful, unfounded myth that gay men are deviant child molesters. But that’s a false conflation between the very real, pervasive gay panic used to oppress gay people, and an individual story of abuse that seeks accountability. When a queer person in power is held accountable, it’s usually because that person is powerful and not because that person is queer. Amplifying the victims in telling their story isn’t an act of homophobia; it’s an act of allyship and advocacy. At the core of sexual assault reporting is the emphasis that all people deserve bodily autonomy, regardless of their race, class, sexual orientation, gender, or any other immutable identity. Queer people fight every day for autonomy and respect for our bodies. It’s at the center of queer advocacy against bathroom bills, the defunding of the AIDS crisis, and every other issue that affects queer people. As people who are othered and marginalized for our sexuality and gender identity, we deserve the peace of mind in our bodies that anyone else does. To stand on the other side of this issue — that’s truly homophobic.